Do you have a passion for sharing your love of bicycles and encouraging more people to ride? The Centre for Active Transportation (TCAT), a project of the registered charity Clean Air Partnership, is working with the City of Markham, the York Region District School Board, the Markham Cycling and Pedestrian Advisory Committee and CultureLink, to launch an exciting new project called Markham Cycles: Incubating Cycling Hubs in Suburban Canadian Communities. We are hiring a Coordinator to administer a Community Bike Hub in Markham, ON. 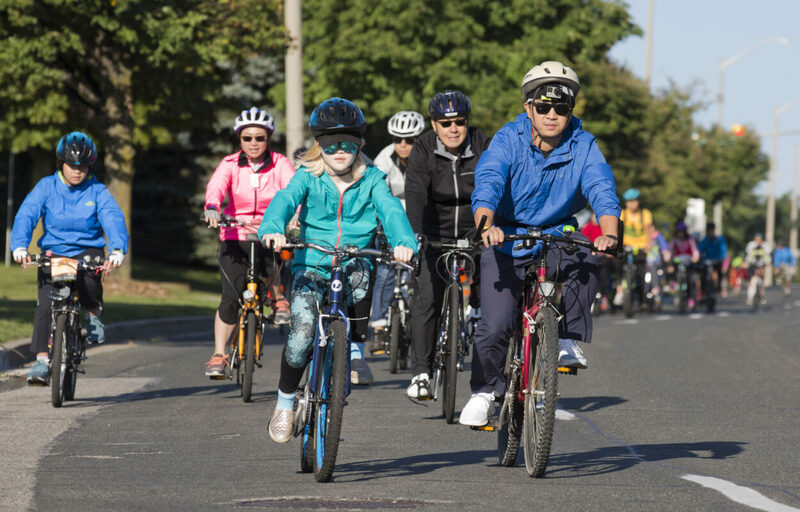 Funded by Environment and Climate Change Canada, the goal of Markham Cycles is to engage residents in climate change action by increasing opportunities for cycling in Markham. The City of Markham presents a great opportunity. It has the highest transportation fuel emissions of any lower tier municipality in the Greater Toronto and Hamilton Area. However, some neighbourhoods offer promising potential for increasing cycling (as measured by trips 5km or less which are not currently walked or cycled). Markham Cycles will identify a neighbourhood in Markham with strong potential for increased cycling. The project will use targeted interventions to build participation in cycling for transportation. We will develop partnerships with a local host organization interested in becoming a “Community Bike Hub”. Through the hub, we will offer access to bicycles and tools, cycling education workshops and repair clinics, cycling mentorship activities, rides, and other engagement workshops/events. Interested? Read the full Markham Cycles Bike Hub Coordinator Posting. Applications due Friday April 26 at 5:00 pm.